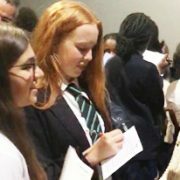 On Monday 25th June 2018, 55 girls in Year 8 attended an afternoon empowerment conference, comprising of the screening of the film ‘Hidden Figures’ and a discussion about careers and the benefits associated with studying Science, Technology, Engineering and Mathematics (STEM). The law firm Morgan Lewis & Bockius UK LLP jointly hosted this conference with Nuveen, an investment management company that is a division of TIAA, a global financial services firm. Both Morgan Lewis and TIAA have a shared interest in promoting diversity and inclusion and engaging in outreach efforts to help young people. The aim of the event was to educate, inspire and empower the students by screening an inspirational and thought-provoking movie and engaging in meaningful discussions about careers and themes from the film. 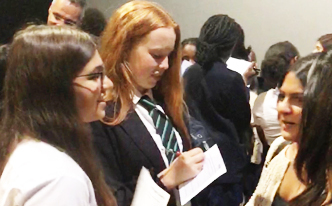 Our girls thoroughly enjoyed the film, which was about three black female mathematicians who worked at NASA and played a crucial role in the United States’ victory in the Space Race. 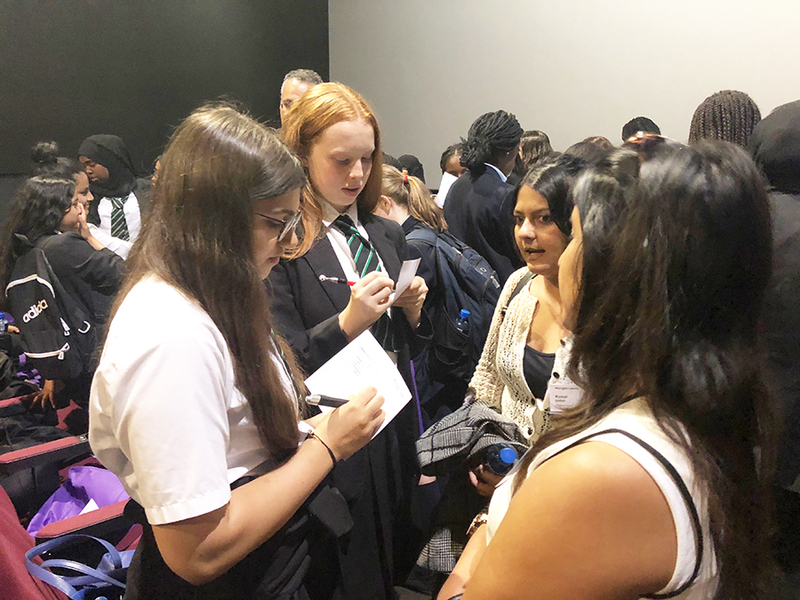 The girls also actively took part in the discussion and activities related to the film and careers in STEM and came away feeling inspired by the incredible achievements of women in working in this area.